There’s little more than a week to go before our 2019 Emerging Separations Technologies symposium at Burlington House, and the anticipation is building! The ubiquity of liquid chromatography, SPE etc. in analytical labs is often misread as an indication of the maturity of separation science as a scientific discipline. As a result, it is easy to overlook the continuous and often remarkable advances in instrumentation and software that are critical for the continued application of such separation techniques. This one-day symposium, organised together with the Chromatographic Society, will focus on emerging technological innovations which are dramatically improving the pace, accuracy, sensitivity or analyte coverage of routine analytical separations. As usual, the symposium program will be run alongside a vendor exhibition, with plenty of opportunities to network, and lunch will be provided by the excellent Burlington House team. 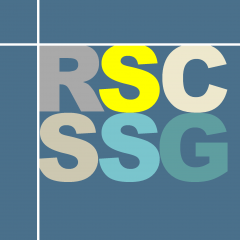 Registration details and a full agenda may be found on the RSC Events website, here, and registration closes on the 27th of March. Discounted registration rates apply to members of the RSC, ChromSoc and the BMSS, as well as to students; special ChromSoc bursaries are also available for students wishing to attend.